Balance hard-core workouts with stretching and mindfulness in this women's tee. A relaxed fit and raglan seams help give freedom of motion to all your studio moves. 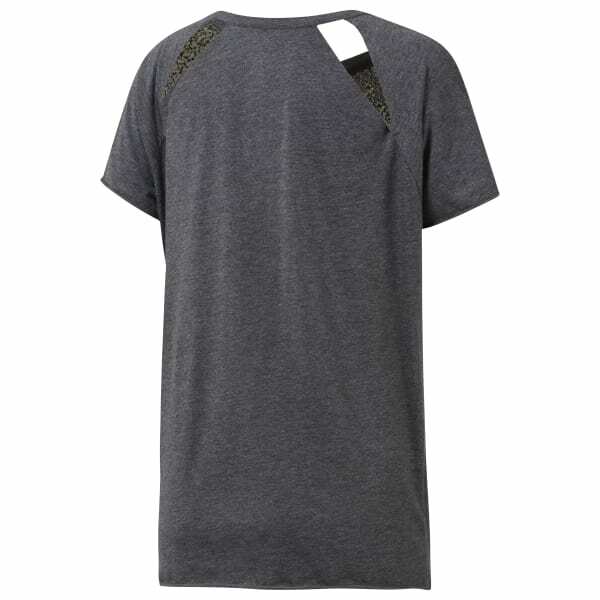 Cutouts at the back add style and encourage breathability. 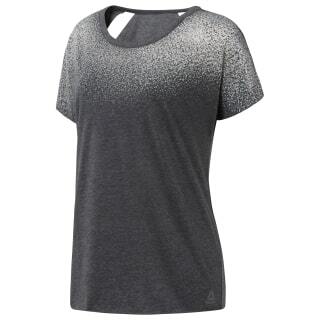 Pair this shirt with black leggings for a calm and centered look.